The Programme of the current Events for the year including Trips, Hikes, Photography, Theatre Visits, Pub Lunches, etc, is shown below . Contact the Organiser for more information and bookings. Thursday 28 March 2019 Theatre visit to The Mysterious Case of the Dog in the Night. April 2019 Coach Trip to Penshurst Place ort Chiswick House. Thursday 9 May 2019 Visit to Leonardsleigh Gardens to see Camellias and Rhododendrons. 22 June 2018. Visit to Tower Bridge. Meet at 10.45 at the North West Tower. The visit will take about 1 hour and includes the Mortuary, which is unique to the Bridge. The cost per person is £12. 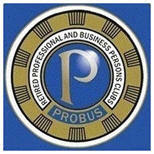 Please pay the Treasurer, treasurer@ewellprobus.org , in June. Lunch is at the Fullers Pub: The Hung Drawn and Quartered, which is close to the Tower of London. After lunch, there are optional visits to City Hall or Borough Market. 17 July 2018. Lunch at Il Capricio on High Street Ewell. 3 September 2018. From Albury to Chilworth Gunpowder works and back. 4.5 miles. Meet at Albury Sports Ground at 10:30. O.S. Explorer map145, G.R. Ref.059469, or Surrey Street Atlas P132 D2. The entrance is at the intersection of New Rd., and Park Rd. Parking currently free. Directions:- from Dorking, take the A25 west, by-passing Shere, towards Silent Pool. Turn left on to the A248 (signposted Albury). At the first 90 degree bend to the right, carry straight on by taking the lane facing you, continue straight on for approx.one km until you meet the junction with Park Rd. The sports ground is on the right. A generally easy walk across gently undulating countryside, but with one short ascent (a bit steep).We will pass through Albury (possible coffee stop), then follow the picturesque Tilling Bourne valley, passing the lakes and restored Albury Mill before crossing fields to reach the Chilworth Gunpowder Mill which we can explore. Guildford Borough Council have created a park featuring the remains of the Middle Mill, and at the same time creating a conservation area. There is a picnic site where we can take a break, and there are a number of information points where usually there are pamphlets available. The overall site dates from the early 17th century, being established by the East India Company as a market for Saltpetre which it shipped from India, for the production of Gunpowder (used in the Civil War). Peak production was from 1880 onward, particularly in the first world war. All production ceased in 1920. We will return across fields from which we will have a constant view of the North Downs. After, I suggest we stop for lunch/snack in Shere, or at the Henry VIII in Little London which has recently been re-furbished while respecting the old internal features. Visitors,wives,and partners welcome. 16 November 2018. Quiz Evening. £10 per person which includes Fish & Chip Supper. Please bring your own Beverages. Wine glasses will be available. Teams of 8 are preferred but smaller teams can join up. Prizes for the winning team. Please include the names of your team’s members. 21 November 2018. Postal Museum. The tour starts at 11.00 and lunch is at 13.45. The cost per person including lunch is £30 and the visit includes a ride on the underground delivery trains. If you plan to attend, please identify your name(s) with the selected lunch by 20th September. Payment is required by 3rd October. Meet either at the Museum at 15-20 Phoenix Street WC1X 0DA at 10.45, or at Waterloo Station at 10.15, and then via the 341 bus to Rosebury Avenue, Theobold Road bus stop with 2 minute walk to Museum. Select lunch from the menu below and forward to Roger at the email address below. 2 courses and coffee at £18.00 per head including service charge for either starter and main course plus coffee or main course and dessert plus coffee. Drinks extra. Meet at 10:30 at the Star pub, Kingston Road, Malden Rushett, GR. 166599. The route will mainly follow the perimeter of the Commons, much of it along good paths but where we have to cross the middle of Ashtead Common expect mud-plenty of it. Ashtead Common is managed by the City of London and is a National Nature Reserve, due to there being a number of ancient Oaks. Please watch this event in case the weather deteriorates.